The author presents a self-contained treatment of statistical topics and the intricacies of the R software. The book treats exploratory data analysis with more attention than is typical, includes a chapter on simulation, and provides a unified approach to linear models. 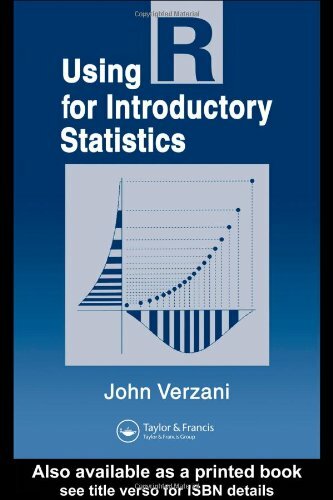 This text lays the foundation for further study and development in statistics using R.
This book is an alternative to the usual textbooks for a one-semester course in statistics. The author tried to make statistics approachable to anyone with high-school math, but it's still a technical subject. There is very little use of formulas.